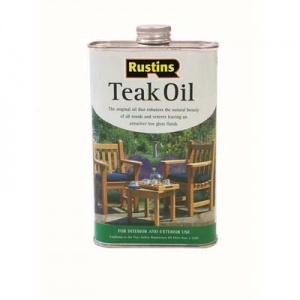 TEAK OIL - Based on special vegetable oils and resins to give a quick drying penetrating seal to Teak, Cedar and all bare wood. Easily applied with a brush or cloth. Gives an attractive sheen on interior and exterior surfaces.